As human residents of Loudoun County, which is growing at the second-fastest rate in the United States (after Williamson County, Texas), we are displacing wildlife and there’s just no way around it. But this same exceptional growth, combined with our proximity to the nation’s capital, also positions us to serve as a model for development strategies that balance benefits for wildlife and people. You may have heard some of the reasons why global conservation matters as much to people as to wildlife. For example, the fact that freshwater wetlands not only hold more than 40 percent of all the world’s species and 12 percent of all animal species, but also contribute trillions of dollars annually in water purification and flood-control services. That birds, insects and other wildlife contribute $300 billion annually in pest control and pollination services that support world agriculture. That when the drug diclofenac caused massive death of India’s vultures, the resultant increase in that nation’s health care costs totaled $34 billion. Conservation matters to people as much as to wildlife at our county level too. Local wetlands are essential not only for the survival of wildlife species like Jefferson Salamanders and Wood Frogs, but also as the “kidneys” that filter our water and keep it safe for us to drink. Remember when 400,000 Toledo, Ohio, residents went for days this summer without safe drinking water? Healthy wetlands are key to controlling the source of such crises – toxic algae fed by phosphorus runoff – which is increasingly serious around the Chesapeake Bay and across the United States. Healthy bee populations, which pollinate many of our crops, help western Loudoun generate more than $1 billion in annual agricultural and tourism revenue. Red foxes help balance small mammal populations and thereby help reduce incidence of human Lyme disease. Black Vultures and Turkey Vultures consume road kill and other wildlife carcasses – clean-up work that would otherwise be done by thousands of maggots or millions of bacteria. And natural environments generally contribute to human physical and psychological health: studies show, for example, children with more nature near their homes have a higher sense of self-worth and fewer behavioral conduct disorders, and that children and adults concentrate better after spending time in nature. How does Loudoun Wildlife Conservancy Advocate for Wildlife and People? Habitat loss through destruction, degradation and fragmentation is the primary threat to wildlife survival across the U.S. and here in Loudoun. Our advocacy focuses on promoting balanced development and pollutant controls that can help conserve both wildlife habitats and resources for people. Stream monitoring has provided us with the data we need to know that action is needed now. 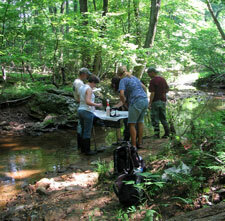 Water: Throughout Loudoun Wildlife Conservancy’s nearly 20-year history, we have worked to conserve habitat by helping protect our water supply, organizing teams of citizen scientists to conduct stream monitoring and buffer planting. In the advocacy sphere, nearly 15 years ago, Loudoun Wildlife Conservancy helped build the coalition of organizations that became Loudoun Watershed Watch. Recently, we have supported Loudoun staff initiatives to promote the “pollution diet” established in December 2010 by the Environmental Protection Agency (EPA), limiting the amount of phosphorus, nitrogen and sediment entering the Chesapeake Bay. Loudoun Wildlife Conservancy has also been among nearly 200 Clean Water Coalition member organizations to co-sign a series of letters requesting federal support for Chesapeake Bay watershed conservation. Pesticides: Promoting pesticide reduction is a key way that Loudoun Wildlife Conservancy works to prevent habitat degradation. In spring 2012, when the Loudoun County Board of Supervisors introduced an action plan to combat Lyme disease and decided to use the bifenthrin-based pesticide Talstar to reduce tick numbers at county parks, Loudoun Wildlife Conservancy was among the first to speak out about the toxicity of the pesticide to bees, aquatic life and other non-target species including humans, as well as the lack of evidence that such pesticide spraying reduces the incidence of human Lyme disease. From late 2013 through early 2014, a team of Loudoun Wildlife Conservancy volunteers focused intensively on the park pesticide issue releasing a position paper, speaking at Lyme Commission meetings, reaching out to the Board of Supervisors and conducting press interviews. In July 2014, the Lyme Commission formally announced its recommendation based on two years of surveillance data, not to spray pesticides in any county parks this year – a recommendation with which the Board of Supervisors agreed. This outcome was consistent with Loudoun Wildlife Conservancy recommendations, which called for an emphasis on data collection, education and communication to combat Lyme disease. Meanwhile, Loudoun Wildlife Conservancy was also among nearly 100 institutional co-signatories to a Save-Bees.org online petition calling on the EPA to impose an immediate moratorium on neonicotinoid pesticides. Gardening for Wildlife: Complementing our direct advocacy for habitat conservation, our Audubon at Home Wildlife Sanctuary program, which has certified more than 1,000 acres of Loudoun’s public and private land, requires participants to sign a Healthy Yard Pledge that includes conserving water, protecting water quality, reducing pesticide use, removing exotic invasive plants, and planting native species. Similarly, our Monarch Campaign has helped county, schools, churches, businesses, parks and farms plant Monarch Waystations – gardens offering milkweed and nectar plants the threatened Monarch butterfly needs to survive. Roads: Another way Loudoun Wildlife Conservancy has worked to conserve habitats and potentially save taxpayers millions of dollars is by advocating for emphasis on road maintenance in low-traffic locations, rather than new road development. For more than five years, Loudoun Wildlife Conservancy has led an initiative to protect precious wetlands and prevent fragmentation of the White Oak forest in Banshee Reeks Nature Preserve, in the face of plans to realign and expand The Woods Road. Although that project is now scheduled to proceed, the voice of Loudoun Wildlife Conservancy members and friends helped decision-makers refine the original road development plans to lessen adverse habitat impact. Loudoun Wildlife Conservancy has also joined partner organizations on the Loudoun Preservation and Conservation Coalition in supporting a bill, now signed into law, providing specific goals for Virginia Department of Transportation maintenance of the rural gravel road network in Loudoun. This law includes a provision for maintaining roadside trees in all rural, agricultural and historic areas along the county’s 330-mile network of rural roads, thereby helping provide shelter and food to many different kinds of wildlife. 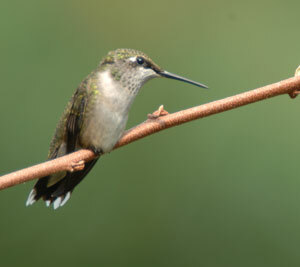 Light and Noise: Loudoun Wildlife Conservancy also encourages policy-makers and fellow citizens to think expansively about wildlife and habitat conservation by advocating for limits on light and noise pollution in addition to protections for water, soil and air. For example, in the lead-up to the Board of Supervisors’ vote on expanding Franklin Park field lighting, we issued a public letter questioning the Department of Planning analysis conclusion that because the project involved no clearing and grading, wildlife habitat impact was not required. We shared examples of scientific research regarding the adverse impact of artificial lighting on many wildlife species. We provided research suggesting artificial lighting leads to a higher risk of human infection from vector-borne diseases due to a combination of changes in human behavior and prevalence of vector species. 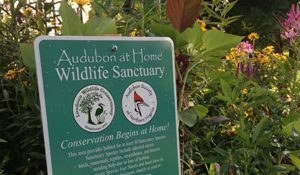 Loudoun Wildlife Conservancy promotes fresh approaches to the direct human-wildlife conflicts that are ever more frequent as townhouses and office parks replace Loudoun’s forests and fields. We have been speaking up for vultures, the target of nearly annual harassment efforts by Leesburg and other Loudoun towns in cooperation with U.S. Department of Agriculture (USDA) Wildlife Services, which have frequently used pyrotechnics and periodically hung dead vultures to frighten away living vultures. 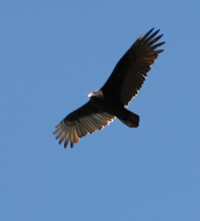 Through our public education and information initiatives, we have highlighted why we should think twice before using any methods to drive vultures away because of the critical role vultures play in our ecosystem and the fact that while vulture numbers may swell in winter, they will decline again as nonresident birds migrate north. Through our action alert program, we have mobilized Loudoun Wildlife Conservancy members and friends to write local decision-makers, demanding that if vultures absolutely must be dispersed, then at least the harassment should be carried out through humane and non-lethal methods. Several towns have decided to forgo any form of vulture harassment, while Leesburg still conducts harassment but assures residents no vultures are being killed in the town (when dead vultures are utilized, they come from a location outside Leesburg). This year, we have begun meeting with Town of Leesburg decision makers, presenting specific ideas for management actions like targeting vulture attractants through improved waste control and using low-cost perch deterrents like motion activated sprinklers – methods that are not only more humane, but have also been shown to be highly effective. 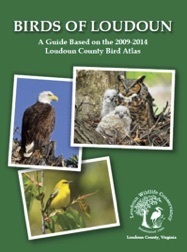 How Can YOU Help Loudoun County’s Wildlife and People? Loudoun Wildlife Conservancy is making a difference for wildlife and people through our advocacy work. As our county’s human population grows, we need more people like YOU to help us maintain and expand our efforts. Don’t have much time? No problem! Each contribution matters whether it’s writing one letter, finding one research paper or attending one local government meeting. Don’t have a science background? No problem! You can contribute in many ways through writing, graphic design, social media or general analytical or organizational skills. Don’t like politics? No problem! We work to depoliticize wildlife and habitat issues. Our focus is on sharing scientific facts and helping to inspire an appreciation of wildlife. Inspired to join our advocacy work? Click here for information about becoming a volunteer.